Title: Colmar. Mulhouse-Schlestadt. 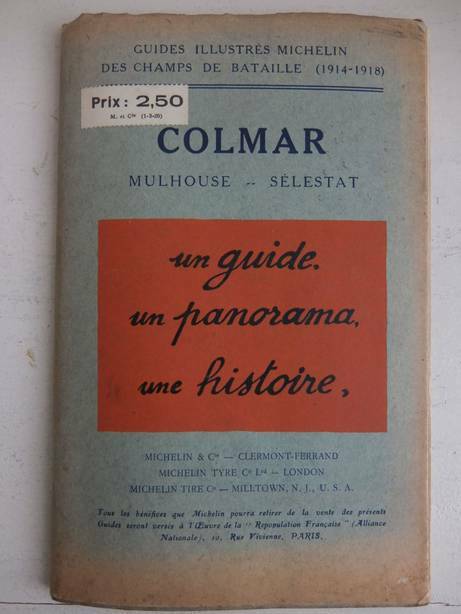 Un guide, un panorama, une histoire. Description: Clermont-Ferrand; 1920; Michelin et Cie.; gilt printed cloth with wrapper; 8vo; ills. in b&w; 64 pp.Near fine copy. Wrapper discoloured along extremities.